CVRT Scorpion seen at the Throckmorton Airshow UK 2013. Added by Roger Greenaway on 29 June 2013. This Scimitar has been fitted with a Cummins diesel engine, it has also been fitted with sponson plate and belly armour. 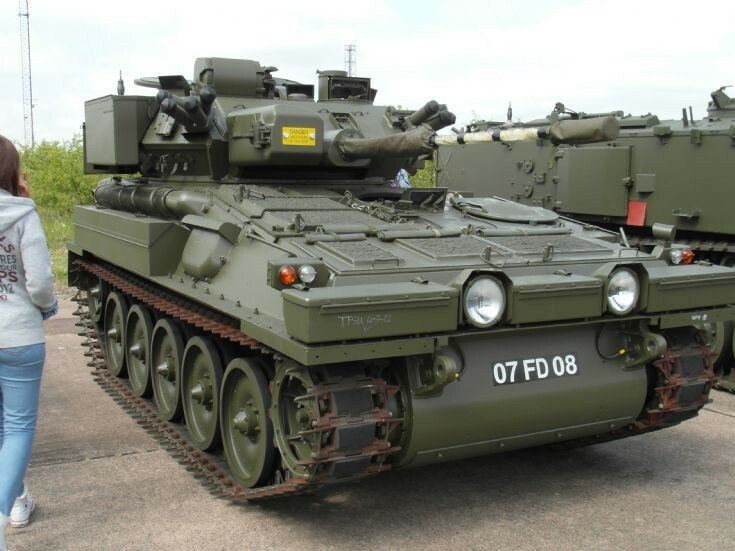 Dieselised CVR(T) can be identified by the larger armoured air intake cowl fitted on sloping plate next to the engine covers. Added by Stephen Prosser on 24 July 2013. I use to drive 07 fd 08 in the 80s , were is it now ? I would love to see it again !! Added by K Lawrence on 06 April 2019.